Here’s something we haven’t seen before: The U.S. Office of Research Integrity has issued a second notice for a former researcher at the National Institutes of Health, after determining she withheld information during the first investigation. …I do not remember ORI having made two sets of findings on a case during my tenure. We did have a number of cases involving multiple institutions, and in those instances we waited until all the findings were made at the institutional level before concluding our oversight analysis…The additional findings evidently justified an additional administrative action which including exclusion from [Public Health Service] funding (equivalent to debarment) rather than the original sanction requiring supervision of any research involving PHS funds. In her initial settlement, Baughman misrepresented the extent of her misconduct. Her lack of candor, coupled with the offenses committed, raised the administrative action to the debarment level. Typically, ORI sanctions stem solely from misconduct — not withholding information. I think that everything’s that’s needed to know is in the retraction. We were unable to find contact information for Baughman. She appears to have posted a listing on a job search site, noting her experience as a consultant and scientific writer. Does anyone have an idea how this would work in the case of someone who didn’t agree, but appealed ORI’s findings of misconduct, and had more falsified data published than ORI included in its initial findings? If the respondent lost the appeal, then ORI would likely proceed with naming second findings as they did with Baughman. If the respondent won the appeal, there’s nothing stopping ORI from making new findings. It seems odd that after you falsify data in a study you only are blocked from consideration of getting federal grants for only two years. Why should the government ever want to give her another grant, just move on to an honest researcher elsewhere. Most sincerely, I can’t understand why fraud in federal research grants is treated differently than any other type of fraud. There should be criminal jeopardy and facing potential restitution orders. Only then, I believe, will potential cheaters take the risks of misconduct seriously. Most sincerely, I can’t understand why fraud in federal research grants is treated differently than any other type of fraud. There should be criminal jeopardy and facing potential restitution orders. For there to be a successful criminal prosecution for fraud, the prosecutors would have to make a convincing case to a judge or jury. Evidence that might be completely convincing as proof of scientific wrongdoing to the scientific staff at a Federal agency might not be easily presentable to most juries (or many judges), particularly with an aggressive defense lawyer. Certainly in the case of financial crimes, I have read many accounts of unsuccessful prosecutions because the crimes are “just too hard to understand”. If fraud in finance is hard to understand, because there are so many numbers, imagine understanding fraud in science where there are not only lots of numbers but also lots of other hard stuff! 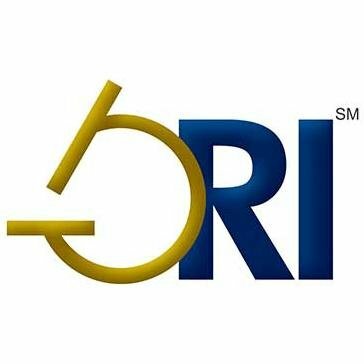 This is not the first time that ORI has twice issued administrative actions for the same person .